The Beach party is scheduled for Wednesday, July 4th at the Town Beach. Magician Scott Jameson will perform from 2:00pm-3:00pm on the deck of the North Beach Clubhouse, followed by Brass Force playing from 5:00pm to 7:00pm. eternal question - which came first, the Chicken or the Egg? Check the website for additional dates. Greek live music, dancers, food and taverna in downtown Newport. Corner of Thames & Brewer Streets in front of Saint Spyridon Greek Orthodox Church. (our neighborhood) from 6 pm to about 8 pm on Friday. Ocean Drive. Enjoy the very latest tunes from some giants of jazz! 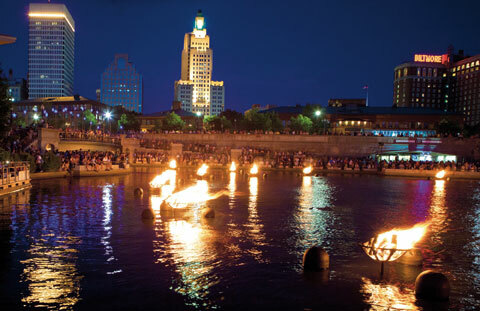 Guide to the Ocean State's history, culture, and quirks. Frosty Drew Observatory, Ninigret Park, 62 Park Lane, Charlestown hosts stargazing on many Friday nights for. Learn about the stars at one of the best dark sky sites on the east coast. Admission is free, but donations are appreciated. Summer fun at The Rose Island Lighthouse. Join the Naval War College Museum this summer for family programs at the Rose Island Lighthouse. These free programs run from 11am to 3pm Thursdays July 12th - August 23rd, weather permitting.